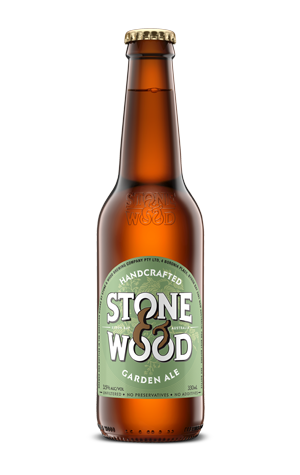 Stone & Wood's Garden Ale has been around in one form or another as an annual release for a few years now, originally featuring juniper berries before being tweaked steadily over time. If you lived close to the brewery, you could get it year round, however. And now, as of August 2015, so can everyone else. The beer – always a sub-four percent ABV beer inspired by summertime beer garden quaffing, has joined stablemates Pacific Ale, Jasper and Lager as a permanent nationwide release, available pretty much everywhere you find Stone & Wood in both 330ml bottles and on tap. The beer remains as it has been for a couple of years now: a delicate, light copper drop with floral and peach aromas, a touch of caramel malt sweetness and nothing to distract you from the conversation taking place over the pub garden bench. UPDATE: As of late 2016, the Garden Ale has been tweaked again and is now a 3.5 percent ABV mid-strength.